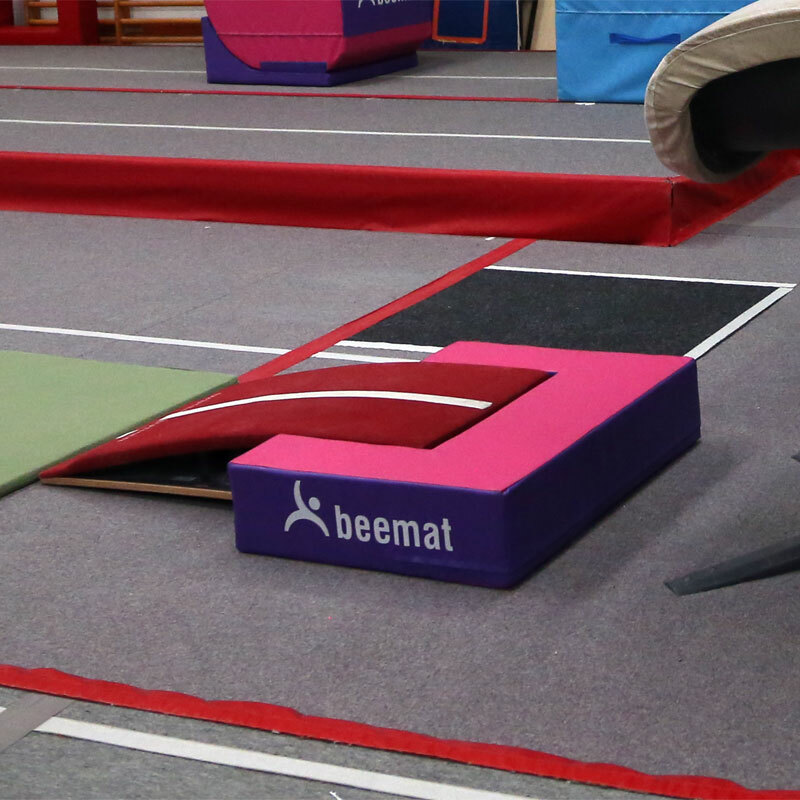 The Beemat ® Springboard Surround helps build gymnasts confidence when performing handspring vaults and round off movements by creating a snug fit around the end of the board ensuring no finger traps. Provides additional protection around the springboard. Gives a snug fit around the springboard with no gaps to avoid finger traps. Size 101cm x 74cm x 22cm deep.